Why choose Montgomery County Chiropractic Center? If you are looking for a chiropractor that accepts Merck Blue Cross insurance near you, then today is your lucky day. Our chiropractic office has been serving Montgomery County for over 17 years, offering services for many types of muscle, tendon and disc injuries, including chiropractic adjustments, extremity adjustments, massage therapy, spinal decompression, therapeutic exercises, core muscle training, sciatica therapy, and trigger point therapy for headaches and migraines. When you have back pain, and need to get to work, you don’t have time to wait. Our office is open 7 days a week, and with our morning and evening hours, we have a schedule that can fit whatever you need. Our dedicated staff of doctors and massage therapists will individually put you in the treatment plan which is best suited for you, and the doctor will perform re-evaluations during your care plan to help you progress at a pace that is appropriate for your condition. Whether your job requires sitting behind a desk all day, or working on the assembly line, you can’t afford to let back pain or shoulder pain keep you from getting back to work. If you are thinking to yourself how do you find a Merck Blue Cross chiropractor near me, this is exactly what you are looking for. What does my Merck Insurance cover? We will verify your coverage with Blue Cross PPO for you before we begin treatment, and ask how many chiropractic visits you get per year. 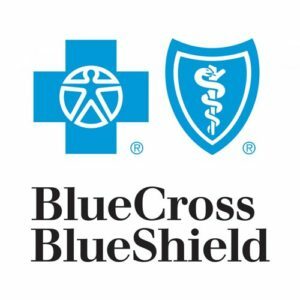 As an In Network provider for Blue Cross and Blue Shield, you will be able to receive the best benefits that they offer for treatments. Once we have verified your health insurance coverage, we can set up an examination with the doctor and he will determine your future treatment details. There are a number of muscle, tendon, and disc injuries that we treat in a daily basis. The most common injuries we can help you with include muscle spasm, tendinitis, herniated or bulding discs, sciatica, headaches, migraines, carpal tunnel syndrome, back pain, rotator cuff syndrome, pinched nerves, swelling, shooting pains, numbness and tingling, and restricted motion. We work on neck and back pain, but also on the arms and legs as well with treatments like stretching and therapeutic exercise. Do your shoulders carry stress? Do your hips and knees crack when you stand up? Then this applies to you, and we are here to help. You can call our office today at (215) 628-2529 and set up an examination today, or you can contact us through our website appointment request form by Clicking here. This option will ask what day and time works best for you, and a staff member will get back to you with a response as fast as possible. Many Merck employees have found this option to be helpful because they can request an appointment after the office has closed for the day, but do so when it is convenient for them. Our staff will respond to the email address you provide, and let you know if that time and day are available. We understand that people live busy lives and different schedules, and we developed this option to help accommodate that.